Medical-grade Silver Steps™ mineral oil gel sleeve cushions and supports every step to help relieve heel pain and pressure. 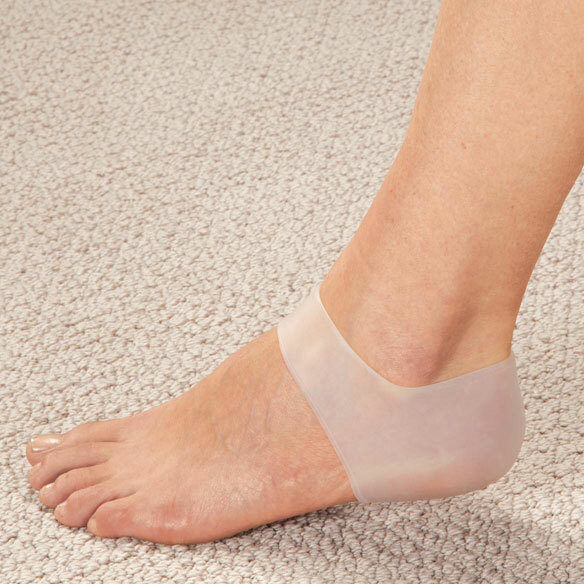 Mineral oil gel foot sleeve conforms to your foot for a comfortable, custom fit. Antimicrobial treatment helps promote healthy skin, with moisturizing benefits to soothe skin, help prevent cracking and reduce the appearance of scars. 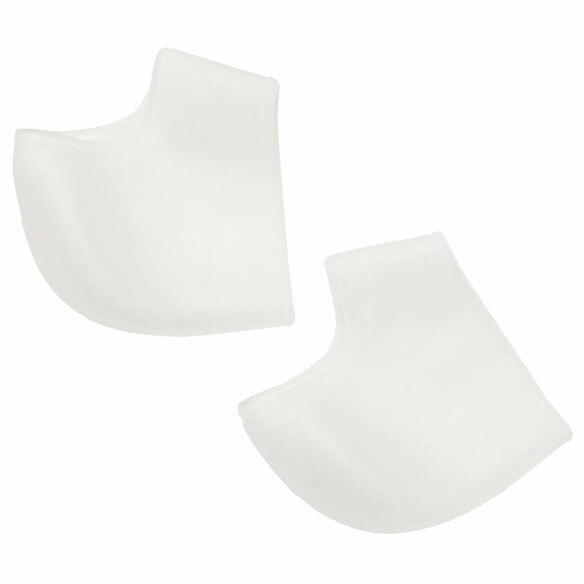 Diabetic-friendly gel heel cushions help replace natural cushioning lost over time. Comfortable with or without socks or shoes. Durable silicone construction delivers reusable, long-lasting comfort. I hope these sleeves will relieve pressure pain in my heels. I'm trying to find anything that will keep my heels from slopping around when I walk. ANYTHING! Problem with right heel, hope this will help. I have constant heel pain and this looked like a well amde and sturdy product. Seemed to make a difference for the good, giving them another go around. I am having heel pain and hope that this product will help. Hope it helps my heel pain. Hopefully this is the product my husband has been looking for. Bandages are not working. We have our fingers crossed. I have diabetes and cracked heals. I bought these last summer and they saved my feet. I am buying 2 more for this summer. Very easy to use and to clean. I have narrow heels and cannot buy shoes to fit as I also have a wide toe. SAS shoes still flop on the heel. Will these aid in keeping the heel in place? BEST ANSWER: Thank you for your question. Yes these will work well for you. We hope this information will be of help to you. husband needs these, but he has size 14 feet. will they fit him? BEST ANSWER: Thank you for your question. These will be too small for him. We hope this information will be of help to you.